Merrilee Proffitt is a senior program officer at OCLC Research. She provides project management skills and expert support to institutions represented within the OCLC Research Library Partnership. Among her many projects is looking at developing better relationships between Wikipedia and cultural heritage institutions. 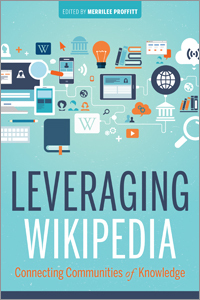 Proffitt started exploring this connection in 2011, and in 2012 she created OCLC’s Wikipedian in Residence program. Along the way, Proffitt became a more confident member of the Wikipedia community, and she has contributed to dozens of Wikipedia articles and helped to run several edit-a-thons. She is a member of the GLAM US Advisory Group. She is a founding member of the Wikimedia and Libraries User Group.